I am excited today to be hopping along with Motion Crafts for their very First Blog Hop to introduce to you their fun animation stamps. You should have arrived here from fabulous Taheerah Atchia's blog. 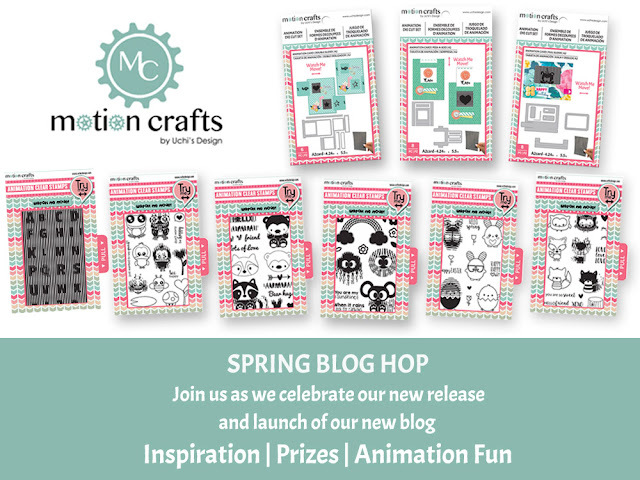 If you are just starting out you can start at the beginning at Motion Crafts if you like. I made two different animation card for today's blog hop. 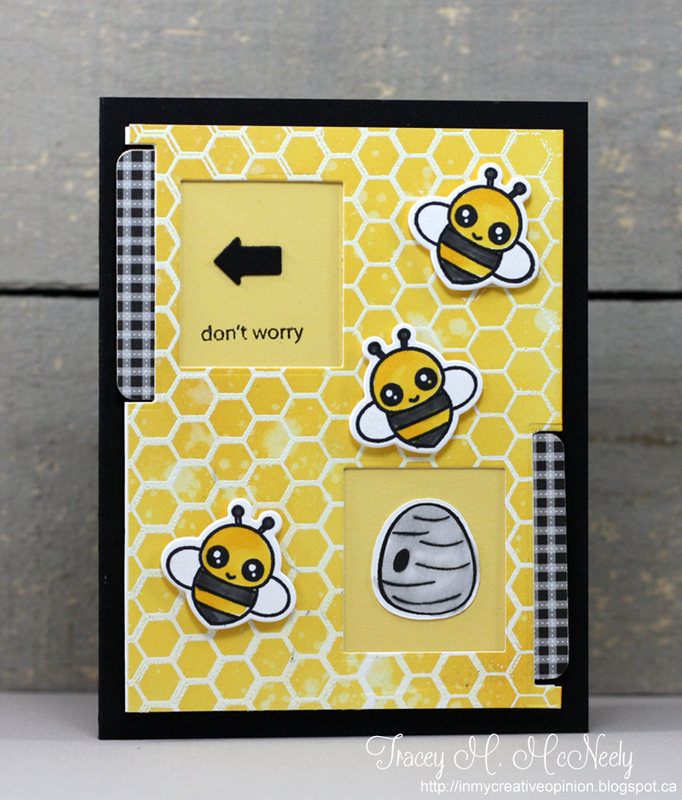 My first card uses the new Bee Happy animation stamps and dies. Inside the top panel prior to adhesive being added. For my second card I used the Sunshine Artwork set and made a spinning sun! I have the Sunshine Artwork stamp set and the A2 Slider die to giveaway to one lucky commenter drawn from my blog and my IG post. You have until 12:00 am EST, Friday, April 1st to comment here and/or on my IG post to qualify! The next stop on the hop is Michele Ferguson! I can see how much fun you had with these interactive cards Tracey! I love the mix of papers, colorful images and your new blog look too! PS The videos keep getting better and better! Ohhhhhhhhh these are FABULOUS! LOVING that motion!!!! Both cards are super cute! Thanks for sharing your creativeness. Both cards are darling! I love the extras on the Bea card! So cute!!! I love your Bee card! Such cute sets! What fun interactive cards! Love the sliders! Your cards are adorable and so much fun! TFS and thanks for the opportunity to win some of these fun products! Luv Luv Luv the double slider unit. So unique! 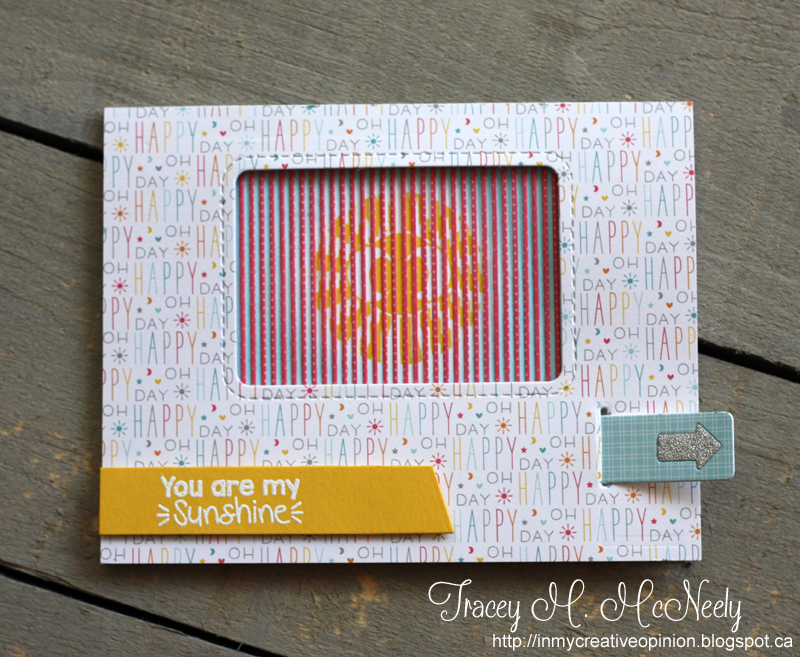 Love the bee and sunshine cards! Wow! So, so cool! Love these motion cards. Love that you can cut your own stripey things too! May have to invest so I have the coolest cards on the block! Thanks for the creative inspiration! Your cards are really cute, i love this motion products...! Fun cards!! I especially love the little bees!! SO much fun, and I love it done with a colored window!!! I am too excited about this one---really! Every step of the way I get more excited. Thank you so much for these fun examples! You turned magic into reality! I would love to accompany you forward on this journey! Thank you for including me to make it happen! What awesome and fun cards!The little bees are so adorable. The cards look like so much fun to make and receive. These are so cute. I love the little bees. Thank you for sharing your cards! Great card, it looks fantastic!!! So cute - love the bees. Oh, these are so sweet and fun!! Who wouldn't love getting one of these fun cards?! So cute! Love the little bee it came out so stinkin cute at first I thought there were going to be two of them and then you surprised me with only one and it made so much more sense doing it the way you did great job. The flower turning was a great idea love the fact that it looks like it is turning in around. Great cards! The bees are so cute! I love that you can cut your own grid in any color you want in you don't want to use the grid sheets. Love the bees and the interactive element! This is such a fun concept. These cards are amazing! So pretty the bee one is so so cute! 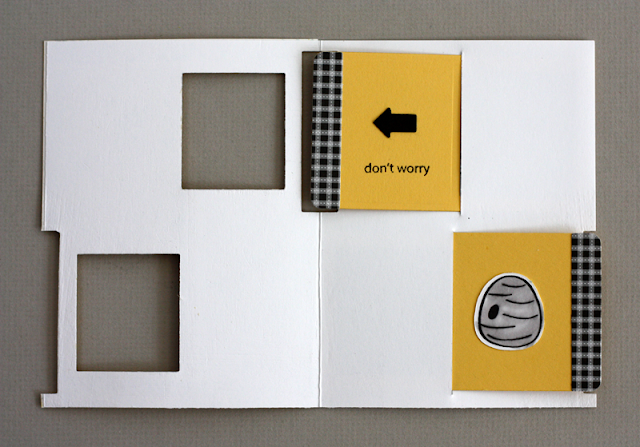 And really like the different colours you can use for the grid, makes the cards look so much more cheerful! How fun are these! Cute spring cards Tracey! Darling cards Tracey! Love the interactive elements! Such cool designs. That bee card is just the cutest! of making these kinds of cards. Oh my goodness, these interactive cards look so fun to make, and you just know who ever receives them will have fun with them, over and over again! I have made a few animation cards but nothing as wonderful as you did. I love that the slider part shows on the inside but you decorated it as well. That is such a cute bee design too! Very clever card designs. I really like the bee themed one. Thank you for showing the photo step by step! Your color choice is just perfect for the bee theme and the animation. Those bees are adorable! You are very talented! I really love bees, nice card. Regards!! I am loving these cute bees and owls!! thanks for sharing and the chance to win!! OMGEE I love interactive cards and this is EVERYTHING! Absolutely adorbs. These are very sweet cards amd I love the bright colors you used. AMAZING Inspiration!! I LOVE LOVE LOVE your Cards!! Such fun! The first card is adorable, I love that fluttering bee. The second card is happy and sweet. OMG! I sing this song to my grandbabies (1 is 2 years, the other 2 months old)! I totally see myself making this card for each of them! Enjoying this blog hop so much! It looks like you enjoyed making these cards & you did a wonderful job! Thanks for sharing!!! The se look so fun!! What awesome cards!! I love this stamps they are so cute and so clever!! Love your cards!! Love your great cards. Thanks for the video. Your projects are awesome. Thank you for the inspiration. That bee card is sooo cute! I love the action of him flying. Wonderful job on your cards. Awww!!! I'm totally in love for your interactive cards!!! They're sooooo cuteeee!!! I love the bumble bee animation and the brightness of the card. Love both cards but that bumble bee is outstanding!!! Thank you for sharing!! Oh those bees are so cute...great interactive cards! Love the sunshine card! So sweet! These are sooo captivating! I am in looooove! How cool to have a DOUBLE slider, too! These little bees are the cutest ! !